Didcot is an up-and-coming commuter town ideally placed for access by train to Oxford, Bristol, London and other major connecting destinations. 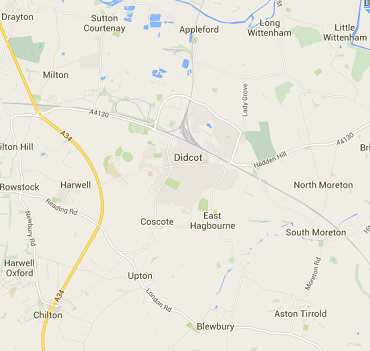 Didcot is situated 9 miles (14 km) south of Oxford and is the largest town in the South Oxfordshire district. Didcot is known for its railway junction, railway museum and power stations, and is the gateway town to the Science Vale, that is to say the three large science and technology centres in the nearby villages of Milton (Milton Park), Culham (Culham Science Centre) and Harwell (Harwell Science and Innovation Campus which includes the Rutherford Appleton Laboratory).